This photo may look like a bat in a tree, but actually it’s our native pigeon, drunk. Gorgeous birds. 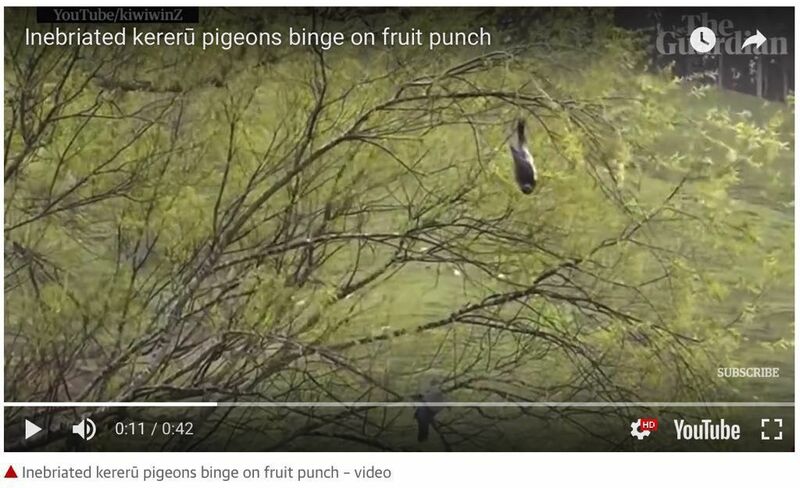 A native green and bronze wood pigeon with a taste for fermented fruit has been named the 2018 bird of the year in New Zealand.